Use the same procedure for both the RH and LH sides. The procedure described below is for the LH side. (a) Insert the 5 hooks, install 6 new bolts, 2 new clips with pins and 2 new spacers to install the curtain shield airbag assembly. Do not twist the curtain shield airbag assembly. 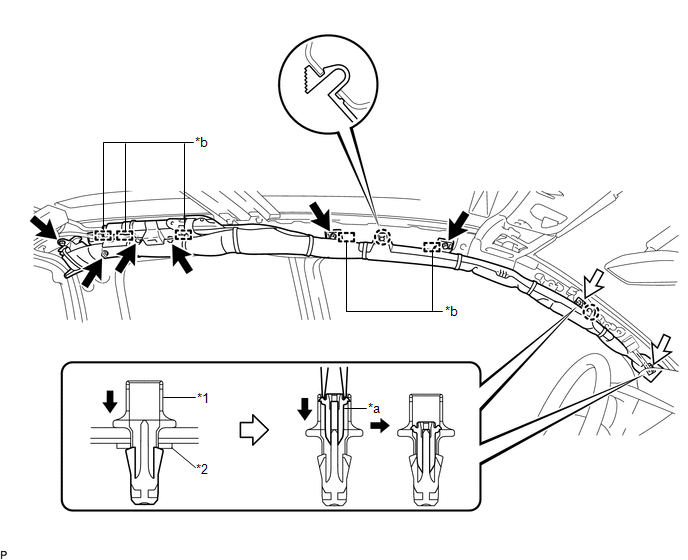 When handling the airbag connector, take care not to damage the airbag wire harness. 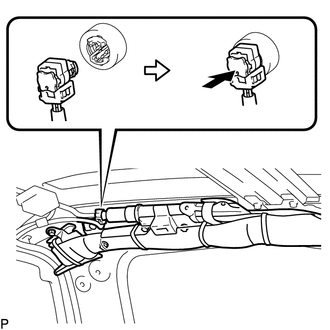 (c) Push in the airbag connector lock to install the airbag connector.